If you haven’t eaten, I’m so sorry (#sorrynotsorry)! 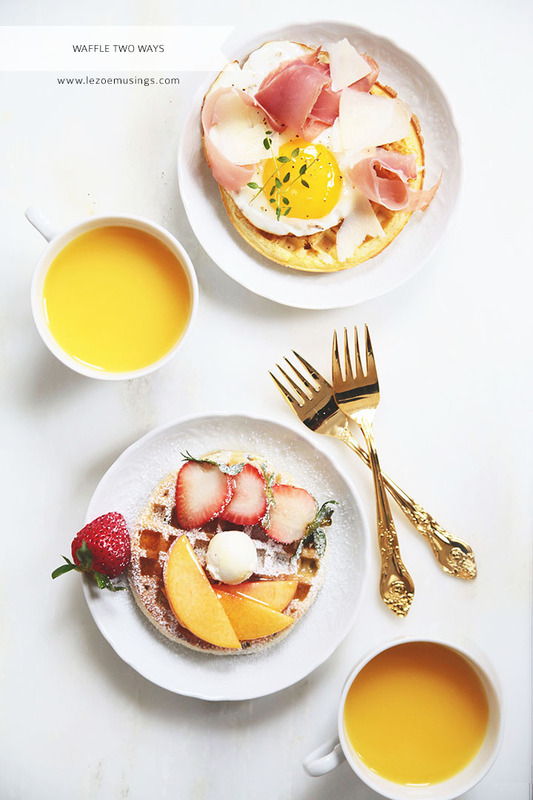 Today, it’s all about waffle dress-up. There’s a salty version and then a sweet one which means you can either have two individual servings (for you and a friend) or enjoy both all by yourself. The salty one can serve as your main breakfast meal and the sweet one as your dessert. That was exactly what I did. After the fact, emotionally I felt horrible. Ummm… that was a lot of food consumption- in one sitting! My taste buds didn’t care though. Too yummy to resist. For this salty version, I didn’t add any salt. The main reason? We ran out of salt. I know, that has to be the biggest kitchen sin. I’m so ashamed. But luckily, it turned out perfect. The cheese and prosciutto were more than salty enough! This sweet version had a little variation. Instead of butter, I used creme fraiche (oh my man!). These are so easy to assemble, you must try! How about making some this weekend? I love this. 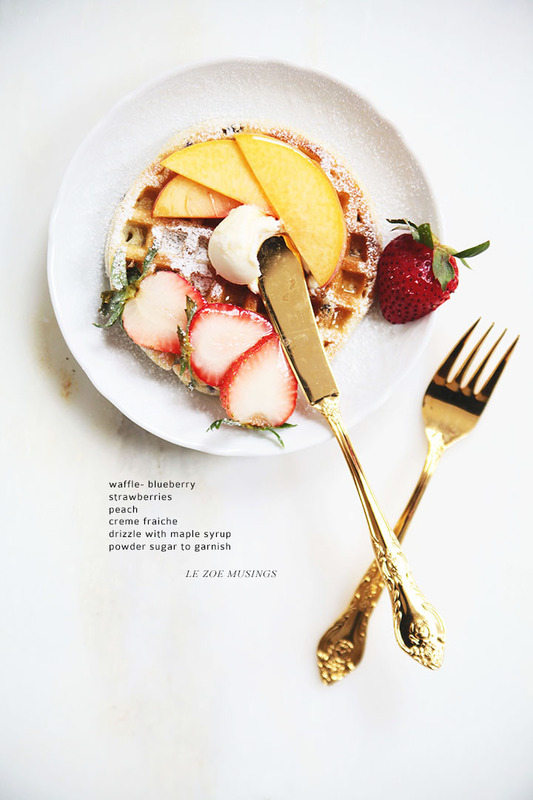 The chicest waffles I’ve ever seen! sounds delish! Love the silverware! I have similar ones! Cool too. 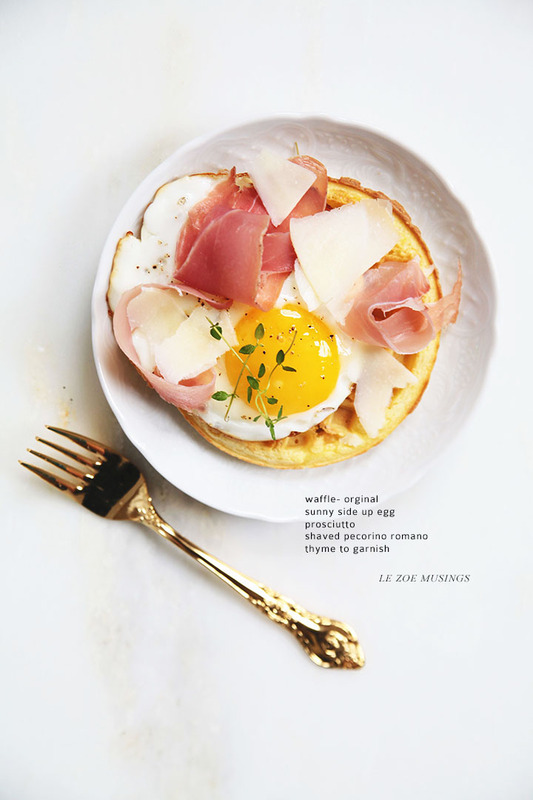 Hadn’t thought of salty waffles. Sounds good. Too good!